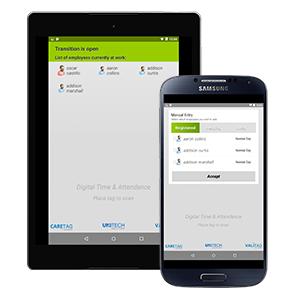 Automatically captures Office and ADE Staff Time and Attendance in the office environment, ADE Workshops and group homes. Collaborates with other modules to capture normal shift hours and individual supports data for accurate billing and payroll processing. Utilising the same smart card technology, this module concentrates on capturing office and ADE staff T&A in locations such as office environment, ADE workshops and group homes. When integrated with the Combined Service Scheduling and Rostering Calendar module, it collaborates to capture normal shift hours as well as any individual supports data for accurate billing and payroll processing.